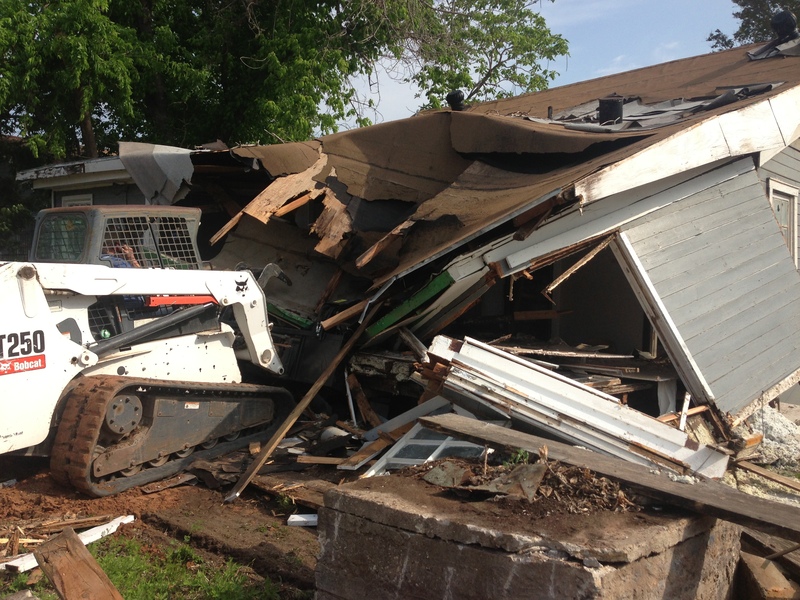 Bobcat demolition is part of the business. 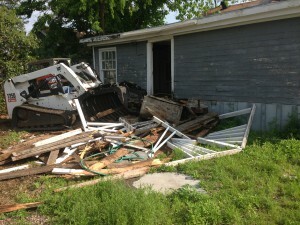 From time to time we have been asked to tear down houses in and around the waco area in central texas. It only takes a couple of hours to bring down a house and push it into piles ready for disposal. Here, you can see a 1100 sq foot house that we were contracted to tear down this past week. 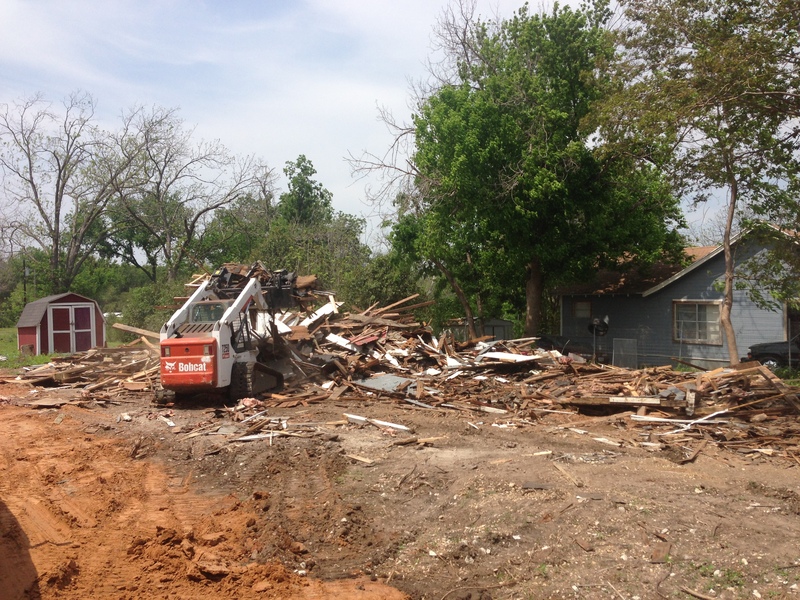 Even though we are paid to do it, I must admit, demolition is FUN! 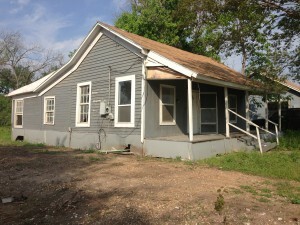 My dad and I often have to flip a coin to see who is going to take the house down. We like to call it.. who is going to the the first “bite”. When you look at the bobcat t250 with the construction grade grapple attached and the pincers wide open, it looks like a big maw ready to consume whatever gets in its way. From here, its just a matter of time until the house is down. It goes down VERY QUICKLY. This house came down in about 2 hours. We had to be very careful here because the next door neighbors fence was only 6 feet away from the outer edge of the house, and we didn’t want to damage their new car sitting in their driveway. The rest of the time was spent loading up the trailer to be hauled away to the dump. We had estimated that this house would be around 35-40 tones. However with all of the concrete support beams underneath and concrete steps (as seen in picture above) it actually was 44 tones. 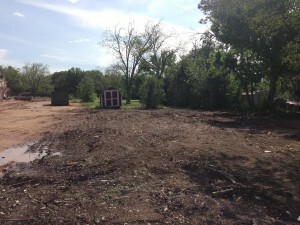 Our local land fill only charges around 29$ a ton, so it is very affordable to have the rubble disposed of. After everything is all said and done, the land is smoothed out, and most all of the larger pieces are picked up. All things being equal, we charge around $500 to tear down a house here in waco, tx and push it into piles for disposal. 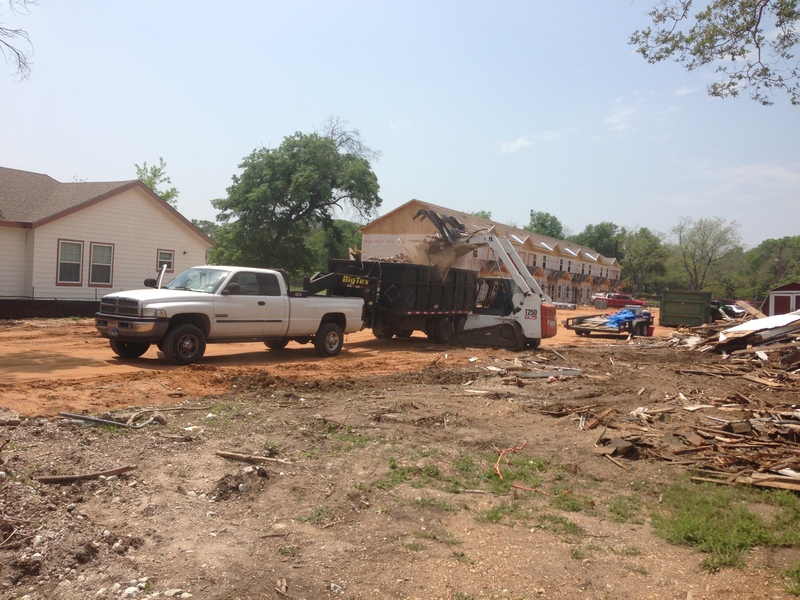 From there we have several options available for disposal ranging from us hauling it off, to loading it into bins, etc. Give us a call if this is something we can help you with in the future! PS, I am going to try and be better at uploading our random jobs that we are hired to do from time to time. I must really apologize for the lack of updates this last year.